The swimming is superb! We have a private beach located on mile-long, spring-fed crystal clear Swanzey Lake. There's a special dock area where you can sit and fish, dangle your feet and enjoy the beautiful views. 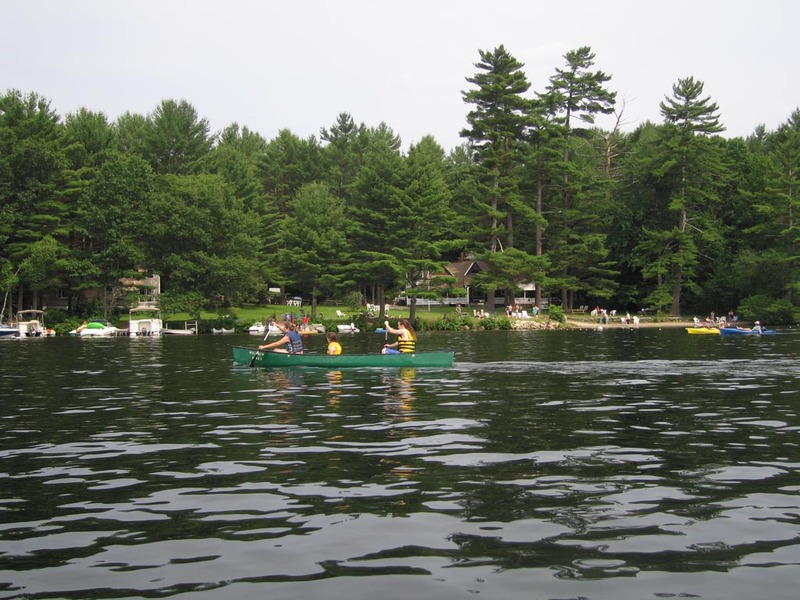 Rent one of our boats, canoes, or paddleboats and explore the 108 acre Swanzey Lake. We also offer low cost moorings for personal watercraft by day, week or season. Cast a line and fish for several species including; American Eel, Bluegill, Pumpkinseed, Brook Trout, Rainbow Trout, Smallmouth Bass, Yellow Perch, and Brown Bullhead. Visit our camp store for all your fishing needs, bait, snacks, and supplies. Fourth of July Celebration - Parties, Bands, Boat Races, Fantastic Fireworks Display and more! Seasonal - Each year we have a specially themed party with costumes, decorations and fun for everyone! This years theme and date TBA. Pottery Painting - Always available in our Hobby Room. For special occasions or just for fun, painting your own pottery allows you inner creativity to come forth! Depending on demand there are sometimes large Under Tent classes offered as well. Scrapbook Classes - Learn about creating layouts, supplies, how to sort photos and items, and more. Best Decorated Site Contest - Pull out all the stops and compete for the prize! This event happens randomly during the season so stay on your toes! You may be here when it does! Guest Sponsored Events- Many events throughout the season are actually created by our guests! You never know what they will come up with! Past events include; Wine Tasting, Chili Contest, Cinco de Mayo, and others. Crockpotpalooza- An annual guest organized contest that includes raffles, cash, and other prizes! Bring your favorite crock pot dish and go for the gold! Proceeds also are used to help fund the July 4th Fireworks Display so everyone wins! Details on these Attractions are available in our Camp store.